New Shoes for Elizabeth is a chapter book for ages 8-12. This book is also A Christmas story set in the Depression era. ​All three children's books are available on Amazon and on this web site store tab. There are also companion FREE coloring books to download from the "Store". 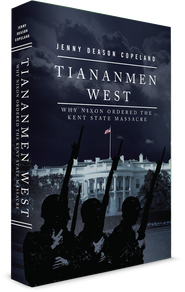 Currently the work, Tiananmen West: Why Nixon Ordered the Kent State Massacre, is offered in both e-book and paperback formats on Amazon as well as on this web site in the store tab. This book is not a conspiracy theorist book but a book documenting the research done while investigating those theories to try to find motives and proof. Our first review is in. This is the feedback from a sample we left at a local market. "I want to thank you for this excellent sample. It is just unbelievable. A very good taste, unlike anything I've ever tried." We hope the public will love it as much as our friends and family have loved it so far. But today it is only available from this website store and our Facebook shop. Put some in a shopping cart today and enjoy. We are going commercial. Watch the YouTube video below for Jenny's personal recipe and cooking instructions. Yum! In development is a fictional tale that uncovers the secrets of Handel's gay life style titled, Tales Between Two Comets: The Hidden Story of Handel. The story is also a screenplay that has been shopped in Hollywood. To assist talented writers find a path to publishing, allowing them to paint a new future as a full time professional writer. SOCKI is a family friendly card game that plays like open faced gin rummy. For 2+ players ages 6 and up. If you can count to 12 you can play Socki! It is sold on this web site and on Game Crafter. Watch the instructional video on YouTube using the link at the bottom of the page. 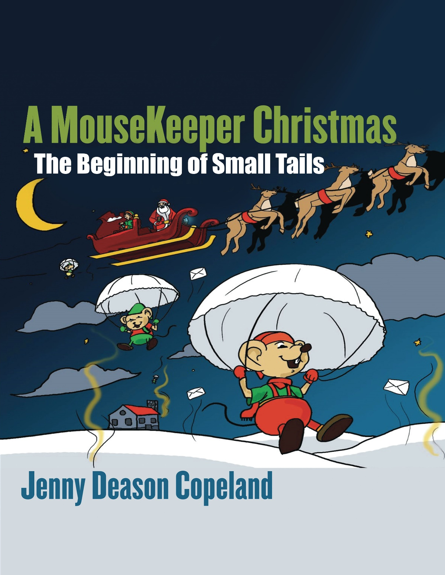 Check out our book trailer links as well by searching on Jenny Deason Copeland on the YouTube site. Best Children's Christmas Book 2017.
https://directory.libsyn.com/episode/index/show/goldmanmccormick/id/5491266 The book is available on Amazon in both e-book and paperback formats. The next offering is currently in the draft stages. This will be a novel about Handel's life titled Tales between Two Comets: The Hidden Story of Handel. The two children's Christmas stories are available on Amazon as well.